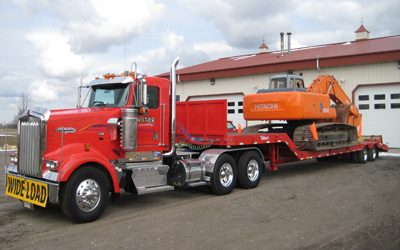 We have over 30 years experience in excavating. Certified with Federal Government under Cage Code 061. 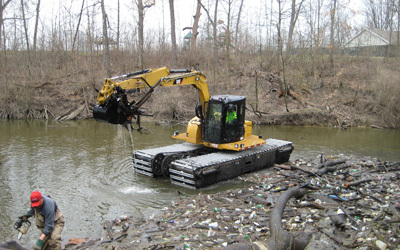 Watch our amphibious excavator in action - Click on video below. 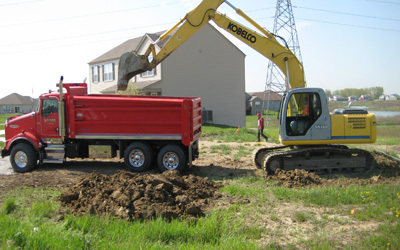 We have a fleet of equipment that we use for many applications from waterway cleaning to residential and commercial excavation, demolition, and black dirt, sand and stone delivery. 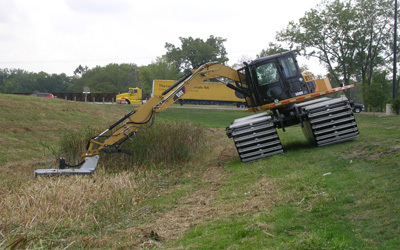 We can also mow otherwise unreachable areas with our amphibious excavator using our bush hog attachment. 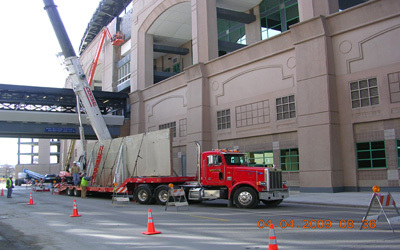 View our videos and pictures and contact us for estimation, pricing or more information.